A generation can be defined by many things - one of those is its music. The years we spent at LaSalle JHS saw an explosion of new kinds of music on the airwaves. We were in a bridging period of rock & roll - after the doo wop period of the 50's and just before the Beatles and the British Invasion and the Detroit based soul sound. Much of this music was written, produced and controlled right there in our neighborhood. 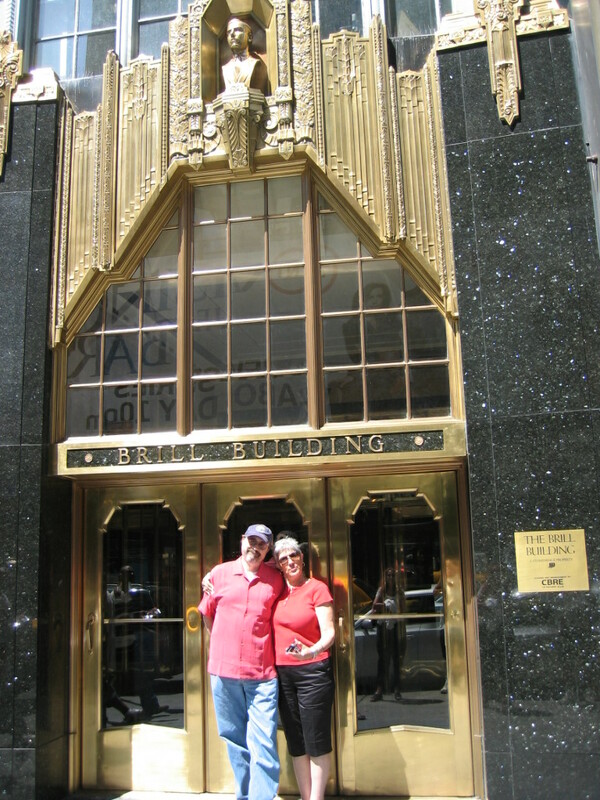 Without question the Mecca for music at that time was the "Brill Building" ( 1619 Broadway) which in reality was several buildings along a stretch of Broadway between 49th and 53rd streets. In these buildings much of the music of the 60's was being written, produced and sold by producer/songwriting teams, such as Phil Spector, Ellie Greenwich and Jeff Barry, Cynthia Mann and Barry Weil, Carole King and Gerry Goffin, and Brian Holland, Lamont Dozier, and Eddie Holland. For instance, Jeff Barry and Ellie Greenwich in 1963 alone supplied Phil Spector with "Da Doo Ron Ron," "Then He Kissed Me," (Crystals) and "Baby I Love You" and "Be My Baby' (Ronettes). There were Dion and the Belmonts, The Four Seasons, Del Shannon and Roy Orbison and a slew of "girl groups", female vocal groups that mixed doo wop harmonies with rhythm and blues music. These groups such as Shirelles, Ronettes, Crystals, Martha and the Vandellas, Chiffons, were usually trios or quartets in which one vocalist sang a lead part while the others contributed a background vocal. This began in early 1961, when the Shirelles had two hits in the Top Ten--"Will You Love Me Tomorrow" (the first song by an all-girl group to ever hit Billboard's number one spot) and "Dedicated to the One I Love. "The sound did not emanate from one place or songwriter, though the producers and songwriters at New York's Brill Building were certainly the core of the sound. The songs on the following pages are rated by their billboard listings for those years.